The 28-year-old midfielder is set to become a free agent this summer once his existing contract at Arsenal following a breakdown in talks over an extension last year. Ramsey has been at the Emirates Stadium for over a decade and he’s managed 62 goals and 64 assists in 358 appearances since arriving from Cardiff City as a teenager for £5m. Now reports in Italy have suggested that Ramsey has agreed on a pre-contract agreement with Juventus for next season. 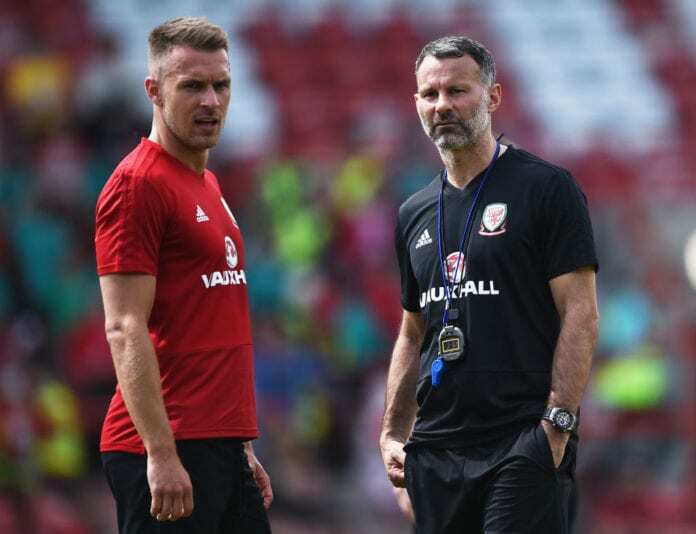 While nothing has been confirmed yet from either the club or player, Giggs is hopeful that a move to a quality side like Juventus will benefit Ramsey in a similar way to what Bale has experienced at Real Madrid since he completed a €100.8m transfer from Tottenham in 2013. “I hope so,” Giggs told Sky Sports, when asked if a move abroad will benefit Ramsey. “You’ve seen the effect it’s had on Gareth Bale. He’s going to a top-class football club, one of the best in the world. That will improve you as a player. Giggs was speaking at a press conference on Wednesday to announce former team-mate David Beckham‘s arrival as a joint-owner of Salford City. The former England captain has purchased a 10% stake of the National League side and will combine the role with his duties at new club Inter Miami FC in the MLS. Meanwhile, Arsenal manager Unai Emery has refused to share any information on Ramsey’s future ever since it emerged in November that the club had withdrawn a contract offer. But the Gunners boss has remained pleased with Ramsey’s commitment on the pitch after another impressive performance in last Saturday’s 2-0 Premier League win over Chelsea. “We spoke three months ago when the decision was made,” Emery said. “Now, I am very happy with him. Because his focus has been very clear in the last month. “His future is very important for his family and for him, but for us, it is very important that he is okay to play like he did [against Chelsea].